I think that unlike many who just moan for the sake of it (or are just automatic naysayers about everything), I like to review subjects before a personal ‘thumbs up’ or ‘thumbs down’ thought forms amongst my last few functioning brain cells (so there’s plenty of space for those thoughts 🙂 ). I happened to take a pic of the corner of Watson Street with the Gallowgate, and found that a planning application had just been approved for the spot. No bad thing given its current appearance, and that it was just a piece of waste ground used as a car park for years. There used to be a warehouse there. Now, a surprisingly tall block of flats will occupy the site. What’s interesting about this one is the absence of ANY car parking as part of the 46 flat development (not counting the street of course), while cycle storage will be provided, along with a ground floor office unit. I’m more used to seeing plans being rejected because the developer has failed to address parking adequately, or the impact of cars accessing a new development. It can be interesting to visit more recent developments, and redevelopments too. I’ve found many have secure facilities for the residents to store their cycles, avoiding the need to drag them up to their flats to keep them safe. If you look up at older developments, it’s not unusual to see one or two cycles stored outside the flat, if it has a convenient porch or similar area where they can be left, rather than bringing them indoors where they can take up space. The second surprise, for some, might be seeing just how many cycles are in those racks (or on those porches). 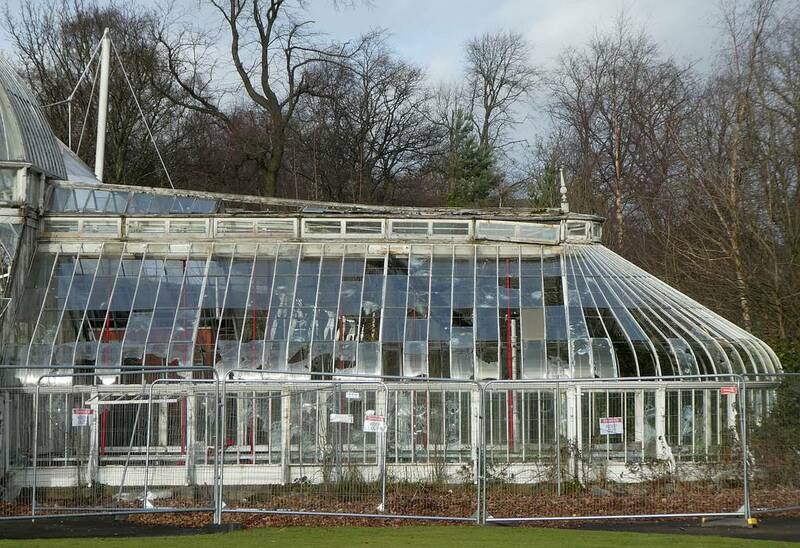 I decided not to bother with a January 2019 ‘Annual pic of Shame’ of the derelict Winter Garden in Tollcross Park this year, for no other reason than that I could use ANY recent pic from the past few years to show how sad this once beautifully restored structure had become, despite the wondrous and magical promise of a ‘Lasting Legacy’ from the farcical and disruptive 2014 Glasgow Commonwealth Games. Who knows how much money was poured into the useless swimming pool lying only a few metres from some REAL Glasgow heritage (see below for the answer), or into yet more upgrades made there later. However, when I stopped by the glasshouse a few days ago, I noticed that the rot was now REALLY beginning to set in. It can only be a matter of time before it reached a state of decay which forces the city’s planner to order its demolition – it is now starting to FALL apart. This is the pic I originally stopped to take, and you can see that the east ridge of the glasshouse has now started to collapse into the interior. Click for a little bigger. Compare to pics from 2015. At the same time, I noticed that an assault by vandals, which I suggested was imminent in a recent post, on the glass doors and walls of the adjacent Visitor Centre, had probably taken place too, as the whole of the Visitor Centre was now clad in wood shuttering. Since there had only been a few sheets raised over the years, I can only assume these were added after the glass panels that make up the doors and walls were attacked. There’s not really much to say. I’ve seen poster asking people to attend meetings, but I only see these after the event, so have no idea if anything productive comes from this, or they are just ignored. It’s such a shame that this building was both restored AND had the Visitor Centre added for less than £2 million. That alone shows how little of the £340 million (probably more) that was squandered on the ‘Lasting Legacy’ would have been needed to save this feature, which could have been promoted as a 2014 tourist attraction, being so near to the swimming pool event. I wonder how much WAS spent on that already supposedly world class swimming venue? Tollcross International Swimming Centre is located in Tollcross Park. The park covers 83 acres and the land was purchased for £29,000 in 1897. The park’s opening ceremony coincided with Queen Victoria’s Diamond Jubilee. 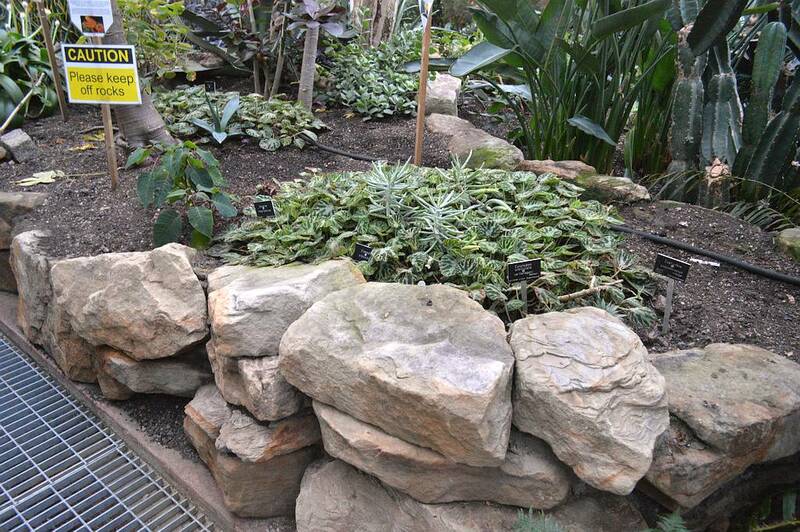 Tollcross Park has many outstanding features, including a Children’s Farm, International Rose Garden and refurbished hothouses known as the Winter Gardens. You could not make this sort of stuff up and expect to be believed, but thanks to the Internet and their web pages this can be quoted and referred to (until they are embarrassed, and delete the evidence one day). Let’s not forget another £25 million just frittered away to attract YET ANOTHER sporting event. Maybe somebody should suggest hosting 5-aside games, or ping-pong, or maybe just World Tiddlywinks in the glasshouse, and ask for funding! Another Glasgow City Council initiative that makes sense? I wonder what stage of denial the die-hard council haters of the 1980s might be reaching by now? Apoplexy seems like a fair guess. It was a great time to be around if you wanted to meet people who had an almost mindless and automatic reaction to anything that was proposed by Glasgow City Council – and was always much the same: “Somebody’s getting a back-hander”, or some similar reference to corruption, croneyism, or membership of some clique. The sad thing was that some of them could come up with some sort of, evidence is perhaps to strong a word, so let’s roll with justification instead. Today, those same people carry on their same ranting and raving, but now from their wheelchairs and zimmer frames, and their ‘church’ is the Comment section of the few media sources that still let them spout their nonsense. They have no audience other than one another, and that’s the only place that gives them free space to ramble in. The rest of us, those with open minds capable of accepting change an innovation are moving on from those old and dated views, carved in stone, and not for changing. I recently took a little bit of a swipe at a policy of ‘Compulsory Sale’ (as opposed to ‘Compulsory Purchase’) proposed and being introduced by some as their great idea to solve the problem of derelict buildings and land. My issue with that as a ‘Magic Bullet’ to solve that problem is simply that if the places were such a bargain and opportunity in the first place, the there would be no need for compulsion. Buyers and sellers should be beating a path to one another’s doors – they’re not! By way of contrast, I seem (worryingly, once again) to be looking at a Glasgow City Council strategy that makes sense, or at least more sense than anyone else’s so far. Glasgow City Council today (7 February) approved a Property and Land Strategy which will guide how the council makes the best use of its substantial property and land estate, the biggest in the city. The possible relocation of council offices from the city centre to key regeneration areas across Glasgow is one action being considered through the strategy. Now, I KNOW such statements are written by someone who has a job to make them sound good, but ignore that and read beneath the stuff that sounds too good, and there’s a plan in there that makes sense because it’s not based in fantasy, over-achieving, moving too fast, or depending on any single ‘Magic Bullet’ to fix everything. In fact, the biggest problem I see is that it calls on others to work with the council to deliver a workable result. And that depends on NOT running up against the sort of people from the 1980s who are only interested in seeing anything planned by the council being a failure. We can only hope there are not too many of them still left on their feet! The announcement is a long read, but worth looking at properly, rather than dismissing out of hand, just because it’s ‘The Council’. Embracing digital and technological innovation to reduce reliance on and improve the performance of the estate. In order to achieve these objectives, a number of actions are being considered, including the relocation of city centre offices to support regeneration through the identification of suitable locations owned by the council or its partners in key regeneration districts, and planning for a phased withdrawal from these higher-cost city centre locations. Such action would reduce public costs and increase local employment opportunities in these districts. Derelict buildings in Glasgow will be brought back to life as part of a 10-year initiative which is being implemented across the city. Glasgow City Council will work with the community as they deliver facilities which are fit for purpose, protect the city’s heritage, re-use neglected land and empty buildings and open up ownership to the public and other bodies. The local authority has issued a 10-year vision, as part of the property and land strategy, which strives to reimagine Glasgow as a world-class city, where everyone can benefit from a thriving and inclusive economy. The aim is to get the best from Glasgow’s assets so they deliver value for money and generate income to ensure that essential front line services are protected. As someone who has wandered around Glasgow since not long after the millennium, taken quite few pics, wrote about quite a few buildings, and more recently been surprised to see that building plans being completed today were not random happenings, but a part of plans but in place up to 15 years ago, the time to be a dumb naysayer is gone. Nothing’s perfect, and plans don’t happen overnight. Nor do they work if those who should be involved refuse to cooperate because of nothing more than senseless opposition bases on some archaic belief, or dogma from the ‘Bad Old Days’. With luck, 10 years might not be too long for me, so I’ll be watching this one, and looking out to see who might be responsible for any lack of cooperation, because it looks as it that’s something it needs. I might as well use my pic of the Lion Chambers as well, since it is a unique, but sadly abandoned and derelict building. A handy, and easy, one to watch, to see if it benefits from the strategy. No need to go into any real detail since I went over this one when it was proposed. There might have been more of a story had the proposal NOT been adopted – it would almost have been worth the disaster to see just how those who might have opposed the plan were able to ‘magic’ up some £550 million out of thin air. Then again, as with all such things, those who create such problems are seldom the ones who then have to find a solution – they just sit smugly on the sidelines, safe in the knowledge that they’re not responsible for fixing problems they create. While the plan will see Glasgow bear the cost of this pay deal (not the current council’s fault, but a legacy from its lovely predecessor – the one that made so many Glaswegians refer to the council as a ‘Bunch of crooks’), it does mean that it will only (sorry for using the word ‘only’) have to find a relatively small amount every year, although the net result is that it will be paying for longer, so the total bill over the period will be greater (than if it had been able to manage a quicker plan). At a meeting on Thursday, city leader Susan Aitken said this would be one of the most significant issues councillors would ever have to consider. She said: “I’m delighted to have won backing for a deal that finally delivers pay justice for thousands of women in our workforce. Also among the building that the council expects to become part of the City Property portfolio are Scotstoun Leisure Centre, Tollcross International Swimming Centre, City Halls, Toryglen Football Centre, Gorbals Leisure Centre and Bellahouston Leisure Centre. The council said it would still be managing the venues and that visitors would see no day-to-day changes. It’s just a shame the bill can’t be handed to the ones responsible for us being where we are today. They have effectively walked off laughing into the sunset – and played a ‘Get out of jail for free’ card. That’ll be me at the front, with one of those commenters behind me. Once again, I find myself flying in the face of Glasgow tradition – and commending the measured response of Glasgow City Council in the face of yet more useless provocation from yet another bunch of bullies activists. Protesters disrupted a Glasgow City Council meeting to demand urgent action on climate change. Members of Extinction Rebellion interrupted councillors to deliver their message on “impending disasters” caused by climate breakdown. Some councillors walked out as one protester read out a speech, ignoring committee convener Bailie Malcolm Balfour’s request to sit down. However, the committee later invited Extinction Rebellion to join its newly-approved emergency group, which aims to deal with the dangers of climate change. In a commendable act fo restraint, rather than calling security and throwing them into the street, councillors extended an invitation to the protestors to take part in future debate…. Vice convener Martha Wardrop, who will chair the emergency group, said: “We appreciate you putting forward your views. Councillor Maggie McTernan said: “Climate justice is a matter of moral justice as well. It’s really important to remember it will affect those who are disadvantaged first. “It’s important to engage with people who are motivated, and also people who are not keen, uncertain or opposed. For how long this lasts past the first meeting where ‘they don’t get all they want. And they walk out, whining on with their usual song of ‘Nobody’s doing what we say they should’. Brain hurts – Brexit AND Council in ONE post? Being apolitical (which means all political types seemingly consider me their enemy on the basis of “If you’re not FOR me, you’re AGAINST me!“), I often find it hard to make a relatively neutral post about things I find interesting, as some political moron or bigot will let me know how stupid I am, or how I’ve offended ‘Their’ cause. Anything that involves the thing known as ‘Brexit’ seems utterly pointless, as the two sides are basically making the same claims about its advantages and disadvantages, and how ‘good’ or ‘bad’ it will be if we do, or don’t, go for it. The only thing I think I can be sure of is that regardless of the outcome, it’s going to cost me! Yesterday’s local news added to the confusion by adding Glasgow City Council’s plan for moving forward in the post Brexit decision world. A few years ago (quite a lot of them), when I was ‘just a kid’, Glasgow council seemed to be populated by a bunch of crooks, and both the papers of the day, and anybody who dared write a letter to them, seemed to wage a war against them, but with little success. To use a term coined with regard to another criminal organisation, the councillors appeared to be ‘Teflon coated’, and all accusations just seemed to slip off them. While my own observation is that those days are long gone, and I seldom find anything like the scandalous behaviour seen back then, some people seem to live in the past, and be completely entrenched in the anti-council hate that prevailed then, and can still be found in the Moron Comment section of some papers, still parroting the same accusation I remember seeing all those years ago. But, I don’t see the council, or more specifically the councillors doing the same things. They’re all grown up now, but their mindset is still the same, locked into a dogmatic view (probably by repeated thumps from ‘da’ if they did not conform) and not open to change. Hell, I’ll even admit to once being part of a forum that used to call out councillors, claiming that they made crooked planning decisions because somebody in their family could be shown to have builder’s yard somewhere. But I left after a while, after I started looking in detail at the planning decisions that were supposed to be ‘bent’ – and found the reality was that most of them were reasonably fair. That’s not to say they were popular, but that’s the difference when you are in a position to later be held accountable. I learned the hard way that the popular decision is not necessarily the RIGHT decision. So, I’m going to say I’m interested to see this statement coming from Glasgow City Council in the light of the upcoming Brexit nonsense, and say that I’m impressed, and expect to see the usual naysayers and council-haters kicking it. Glasgow remains open for business, students and visitors despite Brexit. That’s the message from city chiefs as plans are put in place to deal with leaving the European Union. World class events, top business talent and international students are all welcome in the city. And a new board could be set up with the aim of keeping Glasgow close to countries in Europe. City councillors will be asked to support the move at a meeting tomorrow (Thursday). David McDonald, Depute Leader of the Council, said: “Glasgow has always been a confident, dynamic and international city, committed to working with cities across the world in partnership to the benefit of all our citizens. The strategy would see the council work in partnership with key sectors across the city, including universities, sport, culture, finance, manufacturing, digital, food and drink and industry, to ensure Glasgow remains committed to engaging with Europe. The new international strategy plans to enhance the city’s profile by attracting top events, continuing alignment with EU environmental and social protections and supporting young people’s engagement with their counterparts in nations across the world. I think this is maybe the FIRST sensible response I’ve seen anywhere to dealing with whatever world we are dumped into once the post Brexit dust settles, and we see what sort of mess we are in (which I’m pretty sure we will be in, regardless of what Brexit decision ultimately prevails). At least it’s not money down the drain, like the £15 million being extorted from Glasgow City Council for YET ANOTHER sporting fiasco event. But is interesting to see that while it has to close the Winter Garden at the People’s Palace while it find £7.5 million to carry out restoration and maintenance, it seems there’s no problem in finding almost £6 million to make a derelict site (which has lain derelict for years) attractive to developers. While I’m NOT going to make a silly remark about this spend, because the council IS responsible for providing a number of essential services to the area, as part of the city’s infrastructure, I am going to query whether or not it should be responsible for picking up the WHOLE of thee bill, since any developer that subsequently takes up the option of the site is gaining a ‘free’ benefit of taxpayer’s money – by which I mean MY Council Tax. And I won’t see ANY benefit from that. These are days of austerity, where funding is tight, spending is being cut, budgets are shrinking, and more costs are being levied on those who are responsible for them. I know I collected pics of the remaining wall and gate in Bellgrove Street, but just can’t find them, so have to go with something similar, and already seen. I’m guessing this bit in Duke Street survived since there was a substation behind the wall. Those old sheds behind won’t (survive). While the old fogies will no doubt be up in arms and having strokes, palpitations, and panic attacks, we live in a different world from that of two or three generations ago, and it’s refreshing to see Glasgow City Council is not entrenched in the dead-end thinking it suffered from in the past. Then, it was almost frightening to look in the papers (yes, newspapers) and see the next ‘Tale of the Unbelievable’. It may come as a surprise to some, but money doesn’t actually grow on trees, nor can it be magicked up out of thin air by consulting the latest Harry Potter novel. On top of whatever else ‘new money’ the council has to come up with – cough cough Winter Garden cough cough – there’s now something in the order of £550 million to settle a pay deal extorted by threats of strike action (oh don’t be so childish – call it what it is!). There’s money in property, but it needs thought to realise it as negotiable funds. If you own it, like a spare house or second home, you can sell it – but that doesn’t work if it’s your only property, and you want to live in it. If you need to keep it, then you need to sell it and agree terms to live in it. That way you get a pot, can ‘enjoy’ the benefits, and just toss a few pennies at the new owner. This has been done on the Continent for years, and there have been some famous tales reported in the media where an older person has had the last laugh on the ‘buyer’. Instead of ‘popping their clogs’ after a few years, they’ve lived to a really ripe old age, and the buyer can’t increase the charge they make to let the old soul live in the property, evict them, or end the deal, which has no limit and only matures when the person dies. The deal in principle came after thousands of council workers walked out on a 48-hour strike in October to settle the long-running dispute over women’s pay. On Friday, the local authority published a report to go before members of the City Administration Committee next week, which stated the settlement will cost an anticipated £548 million. City Property Glasgow Investments LLP (CPGI) was requested by the council to consider what capital could be realised from the property assets of both parties. The proposals include “the option of sale and leaseback of certain council operational properties”, meaning the company would acquire sites such as the Riverside Museum, SEC Armadillo and Emirates Arena. Council leader Susan Aitken said: “I’ve always been clear that, although settling equal pay has been about delivering justice for thousands of the women in our workforce, meeting the substantial cost of doing that must be fair for citizens. Long-term loans will fund CPGI’s purchases, with the council’s lease payments meeting the borrowing cost. The paper will go before the committee on Thursday February 6 as discussions continue with potential funders. There could be fun to come as this is considered. And it’s already started, if you’re prepared to offend your eyes and take at look at the sad drivel which appeared in the usual Scotsman’s Moron Comment section after the article. I recently posted the sad and embarrassing tale of an elected Glasgow councillor and a self-important group of (apparently trendy club) business owners (GAG – Glasgow Action Group) who proposed that Glasgow City Council criminalise beggars and sweep them from the city centre. The leader of Glasgow City Council responded by shaming the lot of them for seeking to criminalise beggars and homeless people, suggesting they contact the police if they find any actual criminal behaviour or activities, or social welfare departments to help people in difficulty. Hot on the tail of that story is an example of how to tackle an issue involving street behaviour properly. Unfortunately, one of the downsides of Glasgow’s increasing creation of pedestrian precincts and pedestrian friendly areas is that it attracts a growing number of street artists, performers, and buskers. In the past, the problem might just have been their numbers, and proximity. If good performances attract crowds on a nice day, and apparently wide pedestrian precinct suddenly becomes choked. However, today there is a real problem as many of them are bringing very loud, portable, battery-powered amplifiers to their pitch, trying to be louder than the act ‘next door’ and some becoming louder and louder. Recent battery tech means a lot of power can generated without the need to lug heavy lead-acid car batteries around. As usual, I have to be clear I’m NOT levelling this complaint against ALL those performers – just the usual few who feel the need to spoil things for EVERYBODY in pursuit of their own gain. Unlike the almost ‘brownshirt’ response by the ‘kewl’ business owners to beggars, Glasgow City Council has published a ‘Code of Good Practice’ for buskers. It’s just a few reasonable (obvious?) guidelines to help avoid conflict. There’s no BIG STICK attached to them… yet. Whether they are observed, or not, is another matter, and we’ll have to wait to see if this offer of self-regulation is taken up, or if the same few selfish types just ignore it, and we see some sort of regulation having to be introduced in a few years. Glasgow City Council has introduced a Code of Good Practice for the city’s busking community following complaints from businesses and residents. Glasgow is home to a number of well-known and talented buskers adding a vibrant and fun atmosphere anytime you walk down Buchanan Street. The city council is aiming not to detract from the time-honoured art form but for buskers to consider the impact on other users of the city centre. According to the council it receives a number of complaints regarding negative relationships with buskers and adjacent city centre businesses, with the main concern being amplified equipment. The code outlines ‘good practice’ which includes; giving pitches a break after a reasonable time, keeping volume at t a reasonable level, having a varied and good-quality repertoire, keep any crowds under control, and respect your neighbours around you.